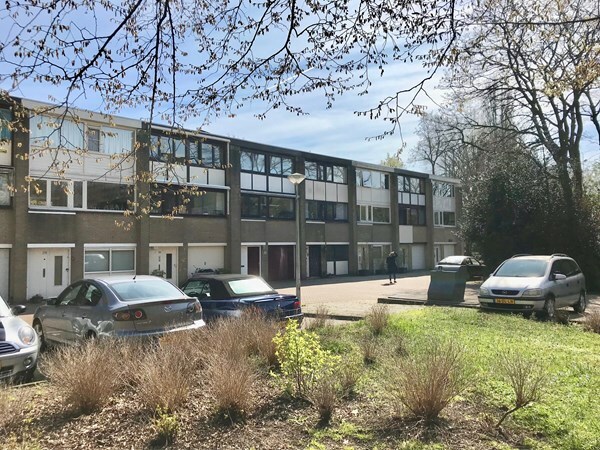 The advertised rental prices of all properties offered by KKamsterdam do NOT include gas or district heating, water, electricity, TV, internet nor local taxes. The tenant pays a monthly installment based on the total expected annual energy costs. These installments are paid directly to the energy supplier of the tenant's choice. Does the tenant use less energy than expected? Then the tenant receives a refund after the final amount has been calculated by the supplier. If the final bill shows that more energy has been used than paid for, then the tenant will have to pay the outstanding amount. The tenant pays the monthly installment via direct debit to the energy supplier. In general, the costs for water are also paid directly to the supplier by the tenant. The supplier for water is Waternet. The installment amount is based on the consumption at the address of the rented property in the past year. At the check-in, the meter readings of both the water and electricity meters are noted and added in the inspection report. KKamsterdam provides these meter readings, the 'initial readings', to the relevant supplier. For electricity and gas, this is the supplier of choice of the tenant or a fixed supplier if there is district heating for the whole building where the rented apartment is part of. The meter readings of the water meter are passed on to Waternet. At the check-out, the 'final readings' are added to the inspection report. The tenant must provide these final readings to the relevant supplier, after which a final calculation will follow. The procedure for block and district heating differs from the above procedure. In that case the monthly installments for gas for cooking and gas for heating are to be paid to the landlord. The landlord pays the bills to the relevant supplier or the Owners Association. If the tenant consumes less energy than expected, a final calculation will follow in which the tenant will receive a refund from the landlord. If the tenant consumes more energy than expected, then the landlord may use part of the deposit to pay for the outstanding amount. In all properties offered by KKamsterdam, there is a connection for TV and internet available. The tenant can choose to contract a TV/ internet provider. KKamsterdam helps tenants to choose a product that fits best to their needs. For all tenants within the Amsterdam region, two types of municipal taxes apply. In principle, these amounts are paid directly to Waternet/ the municipality by the tenant. Water authority tax: as a tenant you pay for the purification of water. Tenants receive a tax assessment from Waternet. In 2019, the costs for tenants are € 166.58 for single-person households and € 274.58 for multi-person households. More information can be found here. On tenants, the 'pollution levy' and the 'water system levy for residents' apply. Waste collection tax: the tenant pays this tax to the municipality for the collection and processing of household waste. This tax is calculated on the basis of the number of people living in the rented property and the location of the property. The amount of the waste collection tax in Amsterdam in 2019 is € 276 for single-person households and € 368 for multi-person households. More information can be found here.